While December 5 has marked World Soil Day since 2002, the celebration of this day has mostly been restricted to the 60,000 or so soil scientists around the world. To this end, we’ve promoted a number of films and interviews with soil and sustainable land management experts this past year, and I’m pleased that the filmmakers have all agreed to let me rerun their films today. One of Earth’s greatest treasures is soil, without which we could not survive. 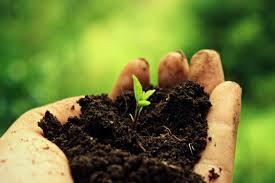 Soil is the mother of nearly all plant life, and ultimately all animal life on this planet. It’s the interface between biology and geology — the living skin of the earth. “Symphony of the Soil” extols the importance and mystery of soil, as discussed by some of the world’s most esteemed scientists, farmers, and activists.2 This visually stunning film reveals how the future of humankind largely depends on how well we care for this vital natural resource. The entire food chain is connected, from soil, plant, and insect health, all the way up to animal and ultimately your health. That is why it is so important to pay attention to the details, as supporting the diverse set of soil microbes at the bottom of the food chain ultimately supports your health. Today’s chemical agriculture is destroying our planet’s soils at a disturbing pace — soils that took hundreds, even thousands of years to develop. A food system based on monoculture, genetically engineered foods, and toxic agrichemicals is decimating to the soil, which is a living, breathing ecosystem. Despite what industry purports, biotechnology is not the answer to world hunger, nor is it sustainable. The rate at which we are using up fuel, water, and soil does not bode well for the longevity of our species, especially in light of the latest world population estimates. New predictions, based on revised algorithms described to be far more accurate, predict the world population will reach 11 billion by the end of the 21st century.3,4 Feeding this many people requires a VASTLY different approach than the present system. The rate at which soils are disappearing from our globe is alarming. If you visit Worldometers,5 you can view a real-time clock that tracks the area of land lost to soil erosion, along with other environmental statistics. The focus of our food system really should not simply be on growing food, but rather on developing healthy soil, which is a priority if we want to survive as a species. Soils are incredibly diverse, and different plant communities adapt to different soils. It starts with a mineral source — weathered rock, glacial silt, river sediments, lava flows, sand, etc. — but it isn’t soil until organic matter is added. Organic sources can be living or non-living. Old leaves, dead animals, and tiny living things all enrich the soil with its necessary carbon. Healthy soil is about 50 percent solids and 50 percent air and water, simply teeming with life — mites, nematodes, protozoa, and a whole menagerie of other organisms, most of them smaller than the head of a pin. Soil microorganisms are so abundant that 70 to 80 percent have yet to be identified. It’s estimated that one tablespoon of soil contains about 50 billion microbes;7 that’s more than seven times the number of people on the planet. More than 90 percent of land plants are nourished by mycorrhizae, a symbiotic form of fungi that help move nutrients from the soil into the plants’ roots. “As soil life forms move through the soil, they create channels that improve aeration and drainage. Nematodes and protozoa swim in the film of water around soil particles and feed on bacteria. Mites eat fungi; fungi decompose soil organic matter. The microorganisms’ primary role is to break down organic matter to obtain energy. They help release essential nutrients and carbon dioxide, perform key roles in nitrogen fixation, the nitrogen and phosphorus cycles, denitrification, immobilization, and mineralization. The full life cycle of soil, in all of its stages, can be seen across the Hawaiian Islands in soils that are several hundred to several million years old, with lava as their substrate. On the new island like the Big Island of Hawaii, you will find soils as young as 300 years to extraordinarily rich 20,000-year-old soils in which just about anything can grow, to 350,000-year-old soils whose nutrients have been washed out by eons of rainfall. Extremely old Hawaiian soils, like Kauai, reaching 4 million years, are almost completely devoid of nutrients. These ancient soils are highly compressed and essentially just clay. Unfortunately, agriculture the way it’s typically done today greatly accelerates this soil aging process. Soils that would have remained viable for millions of years in nature are rendered nonproductive and relatively lifeless by monoculture in a few short years. Tragically, these soils will take hundreds to thousands of years to recover fully in nature — and not until all agricultural assaults are ceased. Chemical farming results in waterlogged soil that’s easily compacted by heavy machinery, rendered impermeable and susceptible to erosion. One third of the world’s arable land has already been lost to soil erosion. “Soil Carbon Cowboys” show how farmers are changing their soil by incorporating grazing herds. Some of them were more or less forced to learn regenerative land management practices, which includes herd management, because they suffered such devastating crop failures. They came to realize they had to change what they were doing to get nutrients, water, and life back into the soil. Indeed, sharing the planet with humanity has all but placed soil on the “endangered species list,” due to greed, ignorance, and lack of respect for the earth. Did you know that, on a DNA level, you are not that different from the microorganisms in the dirt? Given this, it’s no surprise that you carry 100 trillion microorganisms in and on your body, which play a major role in your health. We are so much like the soil and its microbiome that what kills the soil will likely kill us too. This is why it’s so critical that we stop destroying our soils, and to this end, we need to rethink our reliance on chemicals, not just to grow food, but also for other purposes. Only a few hundred of the 80,000 chemicals in use in the U.S. have been tested for safety, and the majority end up in our soil and waterways, killing off beneficial organisms while allowing pathogens to flourish. Pesticides and other agrichemicals also destroy the soil’s structure, its ability to hold water, and its organisms — therefore, its fertility is lost. These chemicals are also destroying bees and butterflies, along with other flora and fauna. Sixty percent of the world’s ecological systems are nearing collapse, yet industry continues to turn a blind eye to its demise. Recent research9,10 also reveals that commonly used pesticides such as Roundup actively promote antibiotic resistance by priming pathogens to more readily become resistant to antibiotics, and recent estimates suggest antibiotic-resistant disease may claim 300 million people annually by 2050. Other studies suggest glyphosate may “enhance the damaging effects of other food-borne chemical residues and toxins in the environment to disrupt normal body functions (including gut bacteria) and promote disease.” It also appears to stimulate hormone-dependent cancers even at extremely low concentrations. I am grateful to Paul Gautschi, whose video “Back to Eden,” helped me understand the value of using a protective ground cover mulch like hay or wood chips. The simplicity and low cost were massively appealing for me, and I believe it may be the single best way to optimize soil microbiology with very little effort. Paul replicates what occurs in nature, which doesn’t make compost piles, but degrades the ground cover of leaves, twigs, and stems slowly over time. It seems obvious to me that this is precisely the type of environments that soil microbes are adapted to. The key here is to create stable carbon complexes. Biochar is certainly one way to do that as it will last in the soil for centuries, but you can actually create something similar for far less time and money with woodchips. The chips and leaves gradually break down and are digested and redigested by a wide variety of bacteria, fungi, protozoa, and nematodes in the soil. Once the carbon can’t be digested anymore, it forms humates that last in the soil for centuries and provide a host of benefits. The longer you leave the chips on, and the deeper you put on the wood chips, the deeper the topsoil will be. This simple method also cuts down on weeding and irrigation needs, and eliminates the need of fertilizers. Nearly any biomass can be used for a mulch, but woodchips are one of the best for a variety of reasons, one being the cost. In many communities they are merely thrown into landfills and can easily be obtained for next to nothing by calling tree cutting services in your area. Mulches will also normalize whatever soil you have. Paul Gautschi used woodchips for decades and, when a soil test was done, most of his nutrient levels were literally 10 times higher than what is normally considered “great’ levels, and he never added any fertilizers. Finally, woodchips serve as a great insulation blanket for your soil and moderates the temperatures in the summer and the winter. Just know that if you put a foot or more it will take at least one to two years to convert to soil that will grow incredibly healthy food. Nitrogen is extremely important for plants, but 70 percent of it is in the air, in an unusable form. Soil bacteria transform this atmospheric nitrogen into a form plants can use. Typically this is done through nitrogen fixing bacteria like the types that are present on many legumes. However, if soil bacteria are absent, plants require some other source of nitrogen. In conventional commercial agriculture, synthetic fertilizer is typically used — in massive quantities. Synthetic fertilizers increase plant biomass, so farmers enjoy higher crop yields in the short run. However, a large amount of this nitrogen ends up going to the wrong places. Plants can use only a limited amount of nitrogen, so the excess gets released into the air as a potent greenhouse gas, and into waterways and ultimately oceans, resulting in dead zones. On average, only half of the added fertilizer is taken up by the plants — the other half is lost immediately to runoff and evaporation. This is even worse with vegetable crops, which can lose up to 80 percent of added nitrogen. However, in spite of all this excess nitrogen, the soil itself becomes depleted in nitrogen, since most of the nitrogen-fixing bacteria have been killed off. Nitrogen pollution reduces oxygen levels in seawater, which causes plankton and other organisms to die off. The Gulf of Mexico dead zone covers 7,000 square miles — an area the size of New Jersey — largely the result of nitrogen leakage down the Mississippi River from massive corn growing operations. But, it’s a completely different story with organic farming. There is minimum leakage of nitrogen because it’s released slowly and taken up again by living organisms, and there is much less water runoff. Small amounts of nitrogen are continuously brought into the system by nitrogen-fixing bacteria. Also, cover crops such as vetches, oats, peas, and other legumes and manure continuously release nitrogen into the soil. Synthetic nitrogen fertilizers are extremely costly in terms of energy. Fertilizers account for 50 percent of the energy use in conventional agriculture. Studies show that using cover crops (crop rotation) when growing corn or soy can reduce nitrogen leaching by 70 percent, as well as begin to rebuild the soil in just two to three years. Additionally, livestock are given parasiticides, which pass through in their feces and end up killing many of the dung beetles responsible for breaking down cow patties. Dung beetles carry their little “dung balls” up to four feet away from the dung pile, spreading those nutrients into neighboring areas. Without dung beetles, this natural fertilization process doesn’t occur. Some suggest the answer to overgrazing is to stop using animals for food. However, properly managed grazing combined with organic farming actually builds the soil, as opposed to killing it, resulting in higher crop yields and fewer weed and pest problems. Our fresh water resources are being drawn down at an unsustainable rate through irrigation — 70 percent of all fresh water is used for crops. In China, 80 percent of grain is dependent on irrigation. According to a UN study, the world’s need for fresh water is projected to double over the next 50 years.11,12 This too can be addressed by changing the way we farm, as organic farming requires FAR less water than chemical farming. Again, plowing and tilling are major strategies to avoid as they disturb the soil’s delicate ecosystem, once established. A better approach is direct seeding and topcoating the soil with amendments. There is no need to remove all of the dead plant matter, as it naturally decomposes and nourishes the soil. Even “weeds” can be helpful to the overall system — what you might consider a weed may actually be a plant that’s making a valuable contribution. In fact, some weedy areas have actually been shown to produce higher crop yields than weeded areas. Better Living Through BiologyOne of the more insidious aspects to the industrial food system is that, as soil becomes sicker and less able to perform its functions, farmers become increasingly dependent on the chemical technology industry — they become trapped. The use of glyphosate begins a downward spiral, making it necessary for farmers to use more and more herbicides, pesticides, synthetic fertilizers, and GE seeds. Weeds become resistant to glyphosate, so farmers have to use more weed killers. Crops become nutrient-deprived, so they have to increase synthetic fertilizers. Weeds and bugs become superweeds and superbugs, and on and on in a vicious cycle. This is actually a KEY factor I would encourage you to look for when purchasing food. Certainly get non-GMO foods but also seek to purchase most if not all your produce from local farmers who are using soil regenerative techniques, such as no till, cocktail cover crops, and livestock integration. The key is to use regenerative soil techniques, not factory farming degenerative approaches. Ideally you would grow much of your food in your own garden. If that is not possible, for whatever reason, consider growing sunflower seed sprouts as a simple inexpensive way to obtain fresh, nutrient-dense, and real food. Resistance to revamping the food system can be expected from a few mega-corporations whose pockets are lined by the chemical technology and pesticide industries, but as a consumer, you have a great deal of power as you vote every day with your wallet. This entry was posted in Alternative Medicine, E Patient Health Care, Herbs, Human Behavior, Introducing, Lifestyle Health, Longevity, Tele-Medicine and tagged a living breathing ecosystem, a symbiotic form of fungi, antibiotic-resistant disease, decimating to the soil, E-Patient Health Care, Genetically engineered foods, grazing animals, growing sunflower seed sprouts, Industrial chemical-based farming, monoculture, Movie Extravaganza —, mycorrhizae, Nitrogen Depletion and Nitrogen Pollution, organic farming, plowing and tilling, Soil Has Its Own Life Cycle, sustainable agricultural practices, sustainable nutrient-dense food system, The Dangers of Pesticides, Three Films, to Celebrate World Soil Day, toxic agrichemicals by Admin. Bookmark the permalink.